Order in next 3 hours and 27 minutes for despatch today. Barbour New County Tweed Flat Cap Grey Dogtooth Check Tweed. This classic tweed flat cap by Barbour is reminiscent of those worn by British countrymen for years. They can still be seen, worn by all ages, all over the British countryside and why not, the tweed cap is practical and makes a strong statement. The tweed for the New County Cap by Barbour is 30& wool, 35% acrylic, 30% polyamide and 5% other fibres. 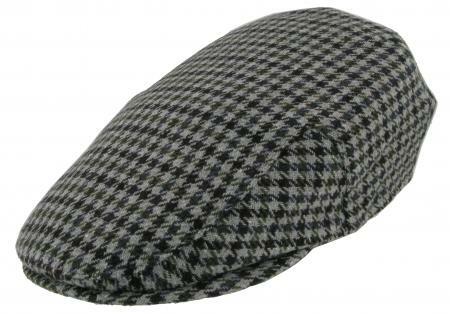 Please note this tweed flat cap was formerly known by Barbour as the D578, then the H9. In some catalogues and web sites is is mis-named the New country cap, the correct Barbour name for this hat is the New County Cap.SALE!